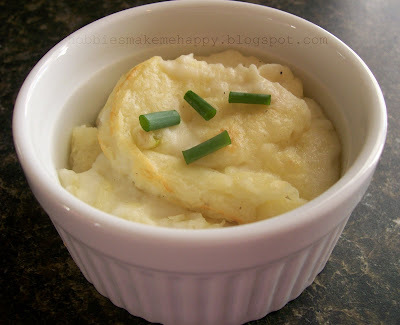 Mashed potatoes are my absolute favorite food! Hot, cold, with gravy, or without- I could eat them everyday! Most days I'm lazy and don't want to make a gravy to go with them so I'm always on the lookout for a delicious way to prepare them without having to go through the work of making gravy. 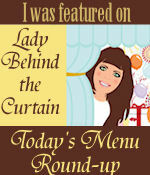 I came upon a wonderful recipe for Bake Garlic Mashed Potatoes at Mel's Kitchen Cafe. WOW! Just WOW! Creamy, smooth, and amazing. Not light in calories but that's OK with me. You have definately got to try this recipe.